The MCC community has saved nearly 250 lives! 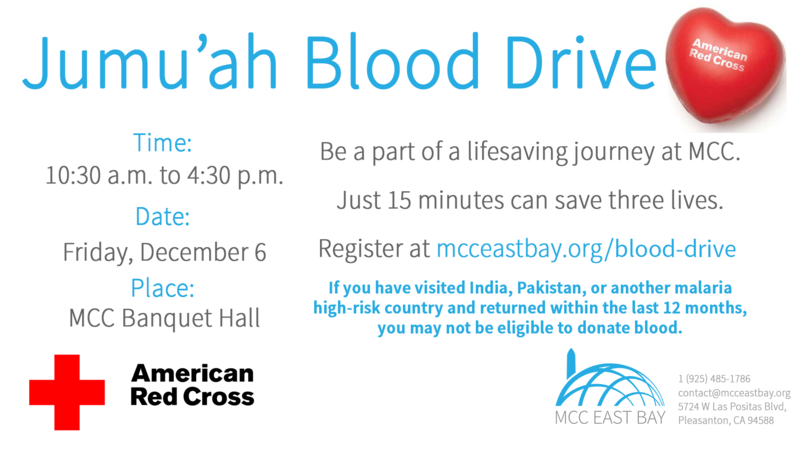 This is our 15th blood drive during Jumu’ah. Each blood drive has always been fully booked or near-fully booked! Let’s continue that trajectory at this Winter blood drive and keep all our American Red Cross guests busy when they setup in our Banquet Hall from 10:30 a.m. to 4:30 p.m. on Friday, December 6, 2019.